The location, friendly and helpful staff, and comfortable bed. The location is brilliant, in the old Alfama district. So many attractions on the doorstop including the 28 tram which is an entertainment in itself. The Studios are within walking distance of lots of tourist attractions and the area itself has both tourist and local eateries. It is a very steep area for walking which didn't bother us but it is certainly not good for a buggy, wheelchair or anyone with mobility issues. We loved the hotel and it will suit travellers who want to be out and about, it is not geared for spending lots of time in, no TV or balcony. Wonderful, spacious appartment, great for family or few friends. Fabulous location, we all loved it! The staff was really friendly and helpfull. Also the breakfast was worth the money and really good. The room was excellent, the shower was great! Good beds. Very clean room. Very helpful staff. Location was good but you needed to look sharp when you stepped out the door. The tram and traffic were just inches away on a very narrow street. The breakfast for which you pay an additional amount was adequate. There were a couple excellent cafes nearby. It was right at at Tram 28:stop. The breakfast was good and it was quiet. It’s close to observatories and easy walk back from fado restaurants. The hotel is decorated in a sleek, modern style, which is not what you might expect from the exterior. It has good security, with your room key card used to unlock the front door. Our room was surprisingly large, with plenty of extra floor space, a desk/chair, an easy chair, and a small refrigerator. It was immaculately clean. There's a safe in the room. Bath towels were oversized, which was really nice. The front desk staff were very helpful and informative. The Alfama doesn't feel like an American hotel, which is what we wanted. You can stay in an American hotel in America. The apartment was so clean and beautifully decorated. Had lovely view of lisbon. Alfama is lovely area in Lisbon also. Many shops and restaurants near by. 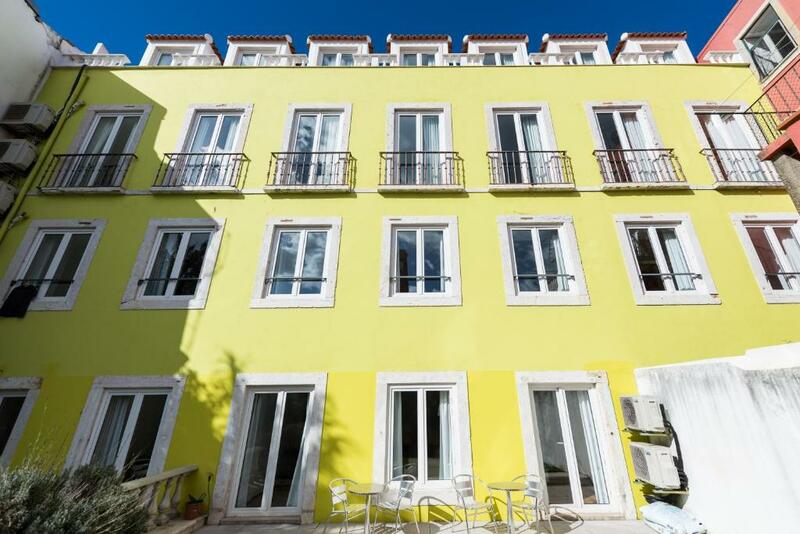 Lock in a great price for Alfama - Lisbon Lounge Suites – rated 8.9 by recent guests! 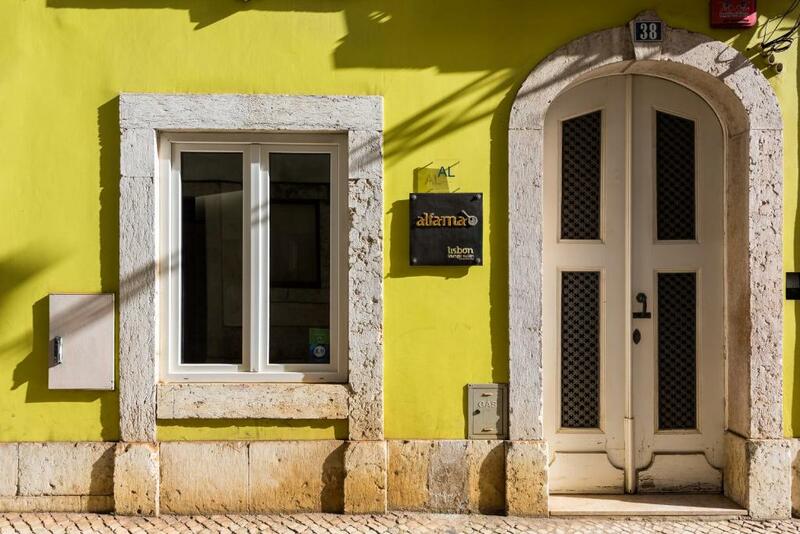 One of our top picks in Lisbon.Alfama - Lisbon Lounge Suites offers modern and elegant apartments and rooms in Lisbon’s Alfama district. Located less than 10 minutes walking distance from São Jorge Castle, some have Tagus River views. 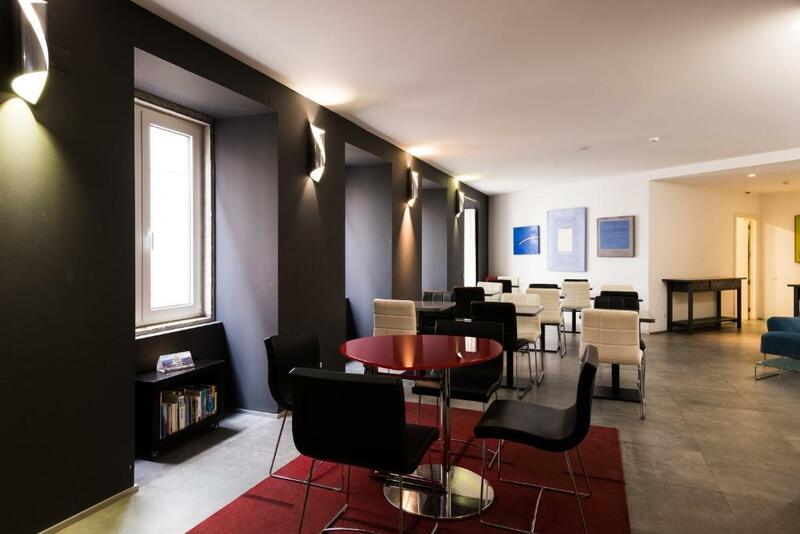 All apartments and rooms at Lisbon Lounge are modern and spacious. The apartments include a fully equipped kitchen and a living room with sofa bed. Rooms and apartments include free WiFi and each has its own private bathroom. The property has a 24-hour reception. Guests staying in the apartments can prepare their own meals in the fully equipped kitchen. The surrounding area is filled with restaurants and bars, within 1,650 feet. Guests can relax in the living area of the lobby, equipped with plush sofas, and there is luggage storage available for extra comfort. 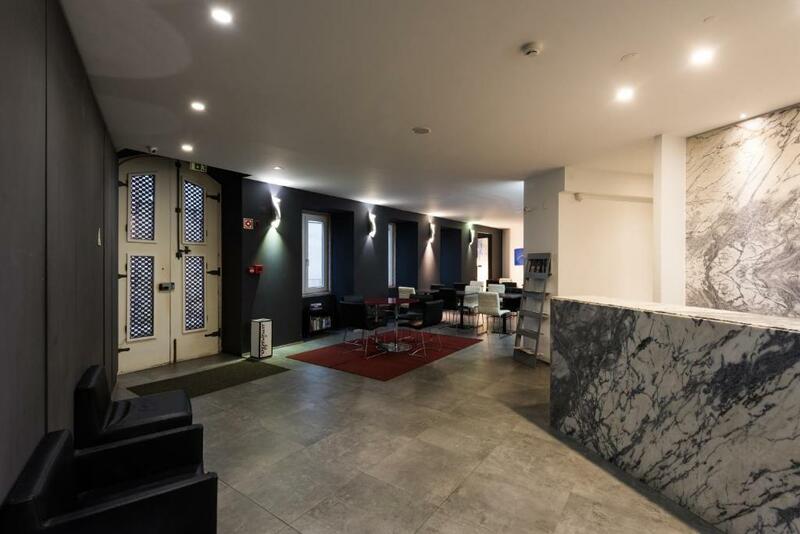 The front desk can arrange a shuttle service to Lisbon Airport, located 4.3 mi away. Traditional Lisbon trams run right in front of Lounge Suites and can take guests to Chiado district. Portas do Sol viewpoint is a 5-minute walk away. When would you like to stay at Alfama - Lisbon Lounge Suites? Offering river views, this bright apartment presents a modern décor. The white walls are enhanced by the bold colors of small details. The fully equipped kitchen includes all the necessary utensils, and the living room features a plush sofa. The private bathroom includes a bath and free toiletries. Overlooking a typical Lisbon street, this spacious suite has a minimalistic décor. The private bathroom comes either with a bathtub or a shower, and free toiletries. This bright apartment presents a modern décor. The white walls are enhanced by the bold colors of small details. This apartment has a microwave, seating area and soundproofing. 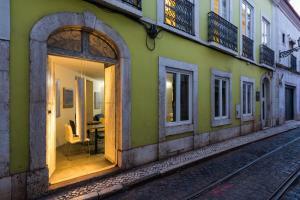 House Rules Alfama - Lisbon Lounge Suites takes special requests – add in the next step! 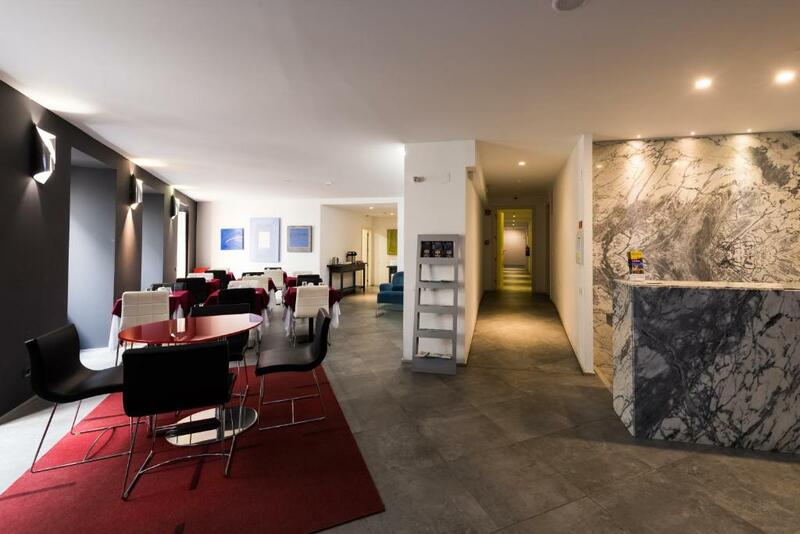 Alfama - Lisbon Lounge Suites accepts these cards and reserves the right to temporarily hold an amount prior to arrival. Please note that this property features rooms and apartments. Please verify each accommodations's specifications while booking. The bath tub leaked with water when we showered. I liked how big and nice our room and bathroom were. How comfy the room was and how nice looking the hotel was. Would have liked to have more space and hangers to hang clothes, jackets. There were only 2 small bars on the wall with 3 hangers each - not enough for 2 people! Missed having a TV in the room and a clock radio on the nightstand. The location was fantastic! The room was clean and met our basic requirements. Coffee tasted like instant coffee, electric kettle was broken, slant in roof/ceiling made it a little hard to get around the bed. Great location, helpful staff, nice breakfast, comfortable bed, loved the modern vib, excellent value. Excellent, very central location, albeit a bit hard to reach. Great location. Clean, modern hotel. Great shower. Great rates. Nice location in Alfama historic district, but 28 goes through under the window, interesting. Great location in alfama on tram route 28. Excellent value for money. No TV in our room. If you want one, check when you make a reservation. Spacious and modern room. Ideal location, very popular with tram-spotters. Great airport shuttle. Well located property in Alfama . In close proximity to all the sites . The Tram stop is right in front of the property . Fairly spacious with a kitchenette. The view, the tram, the coffee shop next door and ambiance.